As a top loan consultant for different lenders in the Philippines for both collateral loan and non collateral unsecured loan, I have seen different problems of borrowers. While many if not most of them didn’t know which particular loan to avail or apply best, there are a few who just don’t realize the potential of saving money from interest and payment thru prioritizing a collateral loan to apply. This is the reason why I wrote this post to make it clear that there are so many options with securing a loan and getting fast approval and release of cash proceeds in the Philippines. But always only thru collateral loan can you get fast approval at a less or lower interest rate. Why a car loan or real estate collateral loan is your best choice especially if you have a business is what I will explain in the coming paragraphs. In the meantime, take it to account that if you need extra quick cash funds for whatever right reasons, a secured or collateralized loan is your best bet. A business loan on the other hand is a good second choice if you don’t have anything to use as a collateral. Car loan offers a lower interest rate – While banks can give you a lower interest in real estate loan and car loan as low as 1%, business loan with banks offer higher interest at 3% – 5% add on per month. Business loan takes longer processing time – Bank process can take from 4 weeks to 8 weeks to come up with an approval of loan application with a no collateral business loan. Car loan extends a shorter loan application approval offer with these bank financial institutions from 2 weeks to 4 weeks. With a private lending company, comparing business loan with a car loan, it only takes 1-2 days fastest to process the ORCR loan. Business loan can take you up to more than 1 month if you are lucky enough to provide complete documents. Requirements – It is always easier to comply with requirements of a car collateral loan than a business loan especially if you have a corporate business. To find out more about these document needs, please visit our particular loan link in our home page. 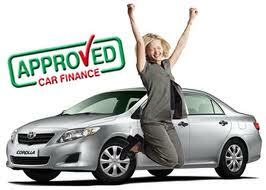 Bigger loanable amount – Car loan always provides a bigger amount to loan than a business loan. The reason is because with a collateral, the value is much more advantageous or easier to come up with as the lending company will have something to take in case the borrower is not able to pay for the monthly amortization of the loan. Easier to qualify – As long as you have a fully owned (not under mortgage payment plan) car, it is always easier to qualify. Many SMEs and small business owners cannot even qualify to file for a loan due to lack of credentials and proof of high income which usually is required from business owners before they can avail a non collateral loan. Loan renewal is easier to process – While business takes just 6 months to renew, a car loan will take 12 months most of the time given a longer payment term especially if you have a 7 year old car or newer. Even if business loan takes earlier to renew, the process will be easier if you have a car loan because a 1-2 days awaits compared to the latter which will usually involve a C.I. or credit investigation. Higher rate of approval with car loan – If you have something to use as collateral, there is always a bigger chance of higher approval rate. The reason again is because this is a secured loan and the lenders we have always favors a loan wherein the borrower have something to use as collateral in exchange for borrowing money. Can get approved even if you are on bad credit – With a business loan application, you cannot take the risk and waste time applying if you have bad credit status. A car loan otherwise for as long as you have a collateral to use, as a veteran agent, I can always find you a provider willing to lend you money. More options to qualify – Non collateral business loan leaves the borrower less chances of qualifying to get a loan than if you have a collateral to use just like in car loan. Take for example if you are a lawyer or a military / police – with this status of job, you absolutely cannot qualify to apply for a business loan unlike if you have a car to pawn. Will not require PDC – As of this year, 2017, one of our providers have already disclosed there is no need for a required PDC as long as your loan is 300K and below. Business loan will always require you one. Or call us for more information using any of our numbers below.